This statement explains how the Cambridge University Ladies Netball Club (CULNC) (“we”, “us” and “our”) handles and uses the personal information we collect about our members and others for processes relating to our operations and activities. The controller for your personal information is CULNC. The person responsible for data protection within our society is the Sponsorship and Publicity Officer who can be contacted at sponsorship@culnc.org. which may impact your participation in sport. We use this information to ensure that the Club and its coaches can deliver a safe and appropriate program of training for our members and to record any incidents of injury at training or matches with CULNC. We will retain and process this information for as long as you remain an active playing member of the Club. capacity as a current member, and your future capacity as an alumnus. We require your consent to send, via email, information passed on from third parties who may wish to send you relevant marketing information. We will not share your information with them. We will share information for as long as we have consent to do so, and no longer than the duration of your membership with the Club. We share some of your personal information with the University, only where there is a specific need to, including for registration as a University Sports Club, and to provide your blues and sporting records for your University records. We use University IT facilities and external IT facilities to store electronic copies of personal information and electronic communications. Commissioner’s Office at Wycliffe House, Water Lane, Wilmslow, SK9 5AF (https://ico.org.uk/). 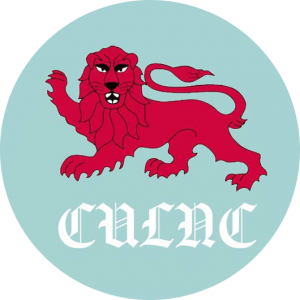 CULNC is one of the largest and most successful women’s sports clubs at Cambridge University. It is a highly competitive club, with 4 university teams as well as running the College Netball League and Cuppers.